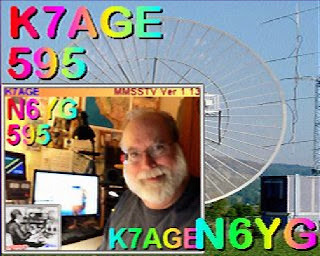 With MMSSTV for Windows, (MultiScan for MAC, QSSTV for Linux, SSTV Encoder & Robot36 Decoder for Android, SSTV Pad for iOS, or DroidSSTV for Android) you can receive pictures by placing your computer microphone by your receiver speaker, and transmit by keying your radio microphone next to the computer speaker. This acoustic coupling method can produce usable pictures with quality depending on variations in audio level and background noise pickup by the microphone. To improve picture quality by maintaining optimal modulation level and eliminating background noise, connect your radio and computer through a sound card interface like RIGblaster, SignaLink, or homebrew (see below). You can also receive pictures with a simple audio cable between the receiver speaker output and the computer line input (or microphone input via an attenuator). An optocoupler or audio transformer interface will provide the cleanest modulation for transmitting.